I love Christmastime! Aside from the true meaning of Christmas, for me it's also about sparkly things... A table set with polished silverwear and crytal stemwear; a tree dressed in gold and silver tinsel; the sparkling smiles of friends and family. With embroidery, it's when I allow myself to go crazy with metallic threads. Gold and silver metallic thread can change the most modest of designs into a glorious display for Christmas. Thinking about Christmas reminds me of Christmas Plum Pudding. For as long as I can remember, my Grandmother had a tradition of putting 5 pennies into her pudding mixture. As a child, it was always a treat to find a penny hiding in the pudding - adults would not be so amused, lest they lose a tooth. 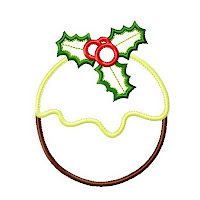 In memory of my Grandmother, Thora Millicent, here is a Christmas Plum Pudding machine embroidery applique design pattern. It looks almost edible, doesn't it? It's perfect for adding a festive touch to your placemats, napkins...all your Christmas table linen! 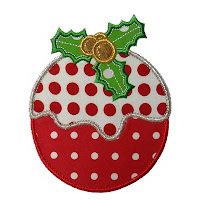 A finishing touch to a Christmas stocking or apron! 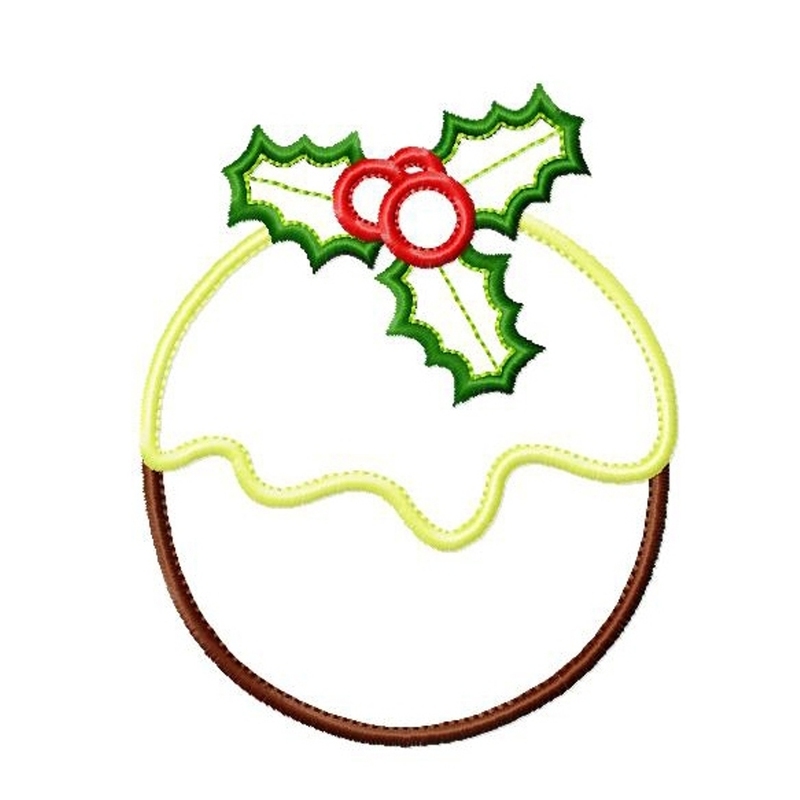 Christmassy cute on a t-shirt or on a babies bid! 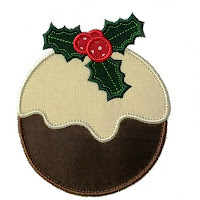 4x4 hoop - exact size 3.92" x 3.15"
5x7 hoop - exact sizes 4.94" x 4" and 5.9" x 4.78"
Have fun using different thread color and fabric color combinations with CHRISTMAS PLUM PUDDING and you will be rewarded with a vast array of different looks. Make it more festive by using gold or silver metallic thread. Enjoy!